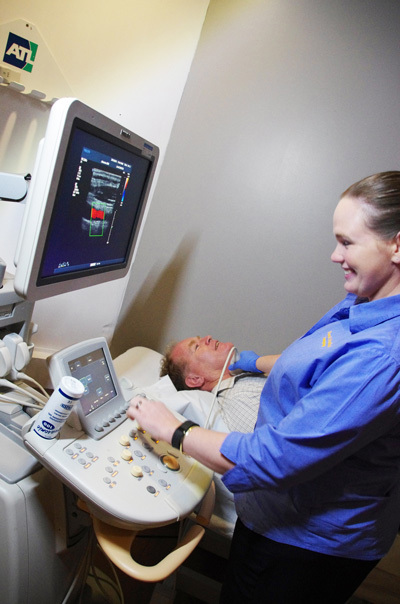 Echocardiography is an examination that uses ultrasound waves to create an image of the heart muscle. Ultrasound waves that rebound or echo off the heart can show the size, shape, and movement of the heart’s valves and chambers as well as the flow of blood through the heart. Echocardiography may show such abnormalities as poorly functioning heart valves or damage to the heart tissue from a past heart attack.